Do you want to make your wedding day the most beautiful day that you will remember for the rest of your life? We understand that your wedding day should be perfect and Red Event Wedding Fayres North West is here to help make all your wedding ideas and dreams come true. We have been helping people like you make their wedding days as special and perfect as it can be for the past 8 years! We hold regular wedding shows in Liverpool, Cheshire, Wirral, Chester, Southport and Lancashire. 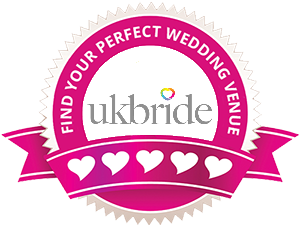 In fact, we hold wedding fairs all across Merseyside and the North West! In this website, you will find details of all our upcoming wedding fairs and shows, as well as all the resources that you will need to help you plan your perfect day! We hand-pick only the best of the North West’s leading wedding professionals who will be on-hand to offer you expert advice and tons of wedding inspiration at every show! We offer a wide variety of exhibitors from Catering, Beauty, Decoration, Photography and video, Dresses, Cakes, Entertainment, Transport, Venue, Jewellery, Event Planning, Florists, Health and fitness and even Honeymoon services! You can plan every aspect of your wedding in one beautiful, fun-filled afternoon! All our wedding fairs are free entry and upon registration you are automatically entered into our free prize draw and will receive a free wedding magazine. Lots of our exhibitors offer exciting offers on the day, to help to keep your wedding costs down! Showcasing the latest fashion within the wedding industry are our stunning catwalk shows featuring Bridal Wear, Bridesmaid and Grooms Wear and not forgetting the Mums with Mother of the Bride and Occasion Wear! Don't forget to visit the hair and makeup stands who will make sure you look beautiful with their mini makeovers & demonstrations, providing you with different beauty designs to suit your wedding style. With live music and performances and much more on offer, you have to come along and visit our North West wedding fairs to experience the full wedding shopping experience! Visit our Wedding Fayre Diary, save the dates in your calendar and come along for a day that will inspire you! We will email you with our up and coming wedding fayre dates and news. Your details will NOT be passed on to 3rd parties. Thank you for signing up top Red Event Wedding Fayres!